Inside: A free online typing game! 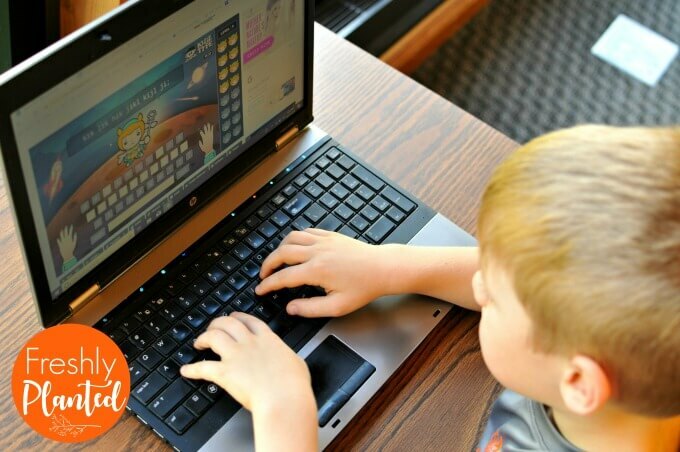 KidsType.com makes it easy for kids to learn typing. Typing helps students work faster, stay focused, and reduces the risk of RSI. A skill that will last a lifetime! Please read our disclosure statement for more information. "Why do I need to learn this?" our oldest asks at every turn. With each new math lesson or grammar rule, she wants to know the purpose. Anything that doesn't fit into the "useful" box is often dubbed a waste of time and endured. Something to be mastered, then filed away for later. When learning to type came up, her reaction didn't surprise me. Before sharing all the reasons to learn (included later in this post), I began with a story. Once upon a time, I was a middle school student. Our colors were neon, the New Kids had traveled around the block, and we'd all died (at least once) of typhoid fever on the Oregon Trail. The internet was new, but everyone was sure that computers were going to be used more & more. So we took typing class to help us keep up- at least in words per minute. Since we still wrote everything on paper, I doubted that typing skills were really needed. They seemed a waste of time, so I stopped trying. It was easy to "hunt and peck" when the teacher wasn't looking- and a group of us mastered the art of peeking underneath cardboard keyboard covers. I passed the class, but I didn't know how to type. Since we rarely typed papers in high school, my "hunt and peck" typing worked just fine. Then I went to college. All of a sudden, everything needed to be typed. I spent hours in front of a computer screen with English essays and art history assessments. I also began to sit next to people who could type, and realized that I couldn't. They would sit down, type their paper, and be done before I was halfway finished with mine. I was frustrated at the waste of time my not typing was now costing me. So I started over. 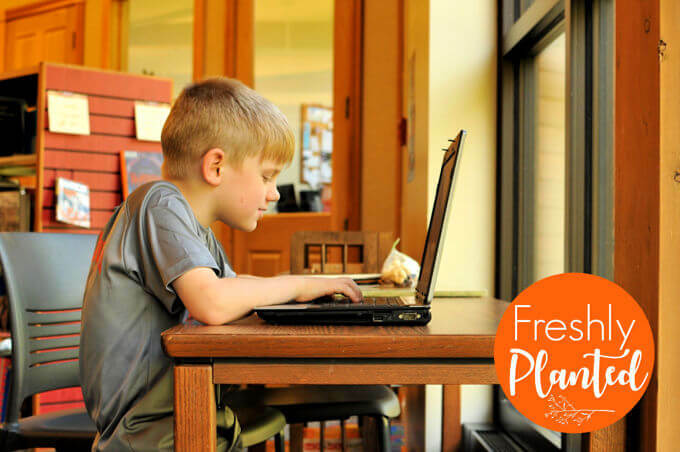 I checked out library books on typing and taught myself. I was painfully slow, but gradually became faster and faster. (Which was good since I had also added on a English Teaching Minor.) Papers began to only take me a few hours, then an hour, and once- in a pinch- twenty minutes. I regretted not learning typing earlier, but was happy to know now. Only those who have patience to do simple things perfectly ever acquire the skill to do difficult things easily. We talked about difficult things she would type in the future: essays, papers, personal emails, professional emails, and resumes. I didn't include spreadsheets, power-points or other things I've typed recently: recipes, directions, blog posts. can help with working faster & staying focused. is best learned during elementary school. helps reduce the risk of RSI (repetitive strain injury). But I did tell her how fun it was going to be as we watched this video. She wasn't disappointed. I received our lessons free of charge & was compensated for my time. All opinions are entirely my own. This post contains affiliate links, see our disclosure policy for details. 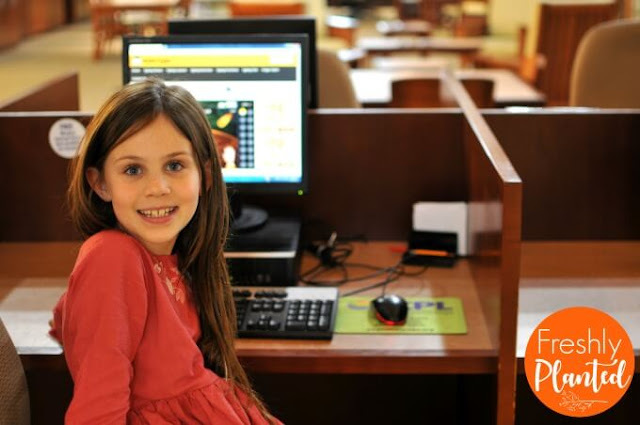 When we first opened KidzType, our kids were excited to be on the computer. Most tech learning happens on the iPad, so they were excited to use a real keyboard. Our first grader compared typing to the piano lessons he just began. "Look! You need to have the right fingers for typing, too!" he noted. The kids enjoyed the KidzType typing games, finding them easy to understand. Since the games aren't timed, they didn't feel rushed and could take their time. But they did enjoy winning more & more faces! It doesn't remember where you left off. I was writing down their progress each day to keep their levels straight, but they're great at remembering if I can't find my notes. The program doesn't actually know if you're using the right finger. The games show the right finger to use, and the lit keys are the same color as the finger-nail, but I still check on their typing form. Keyboard cover peeking runs in the family! 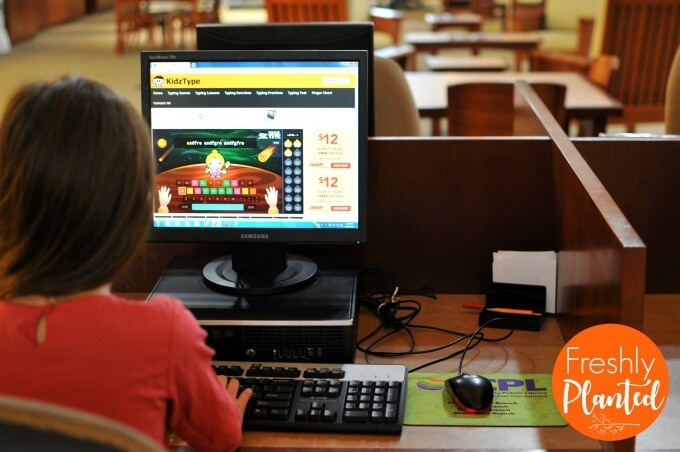 There's typing lessons, exercises, practices as kids learn. 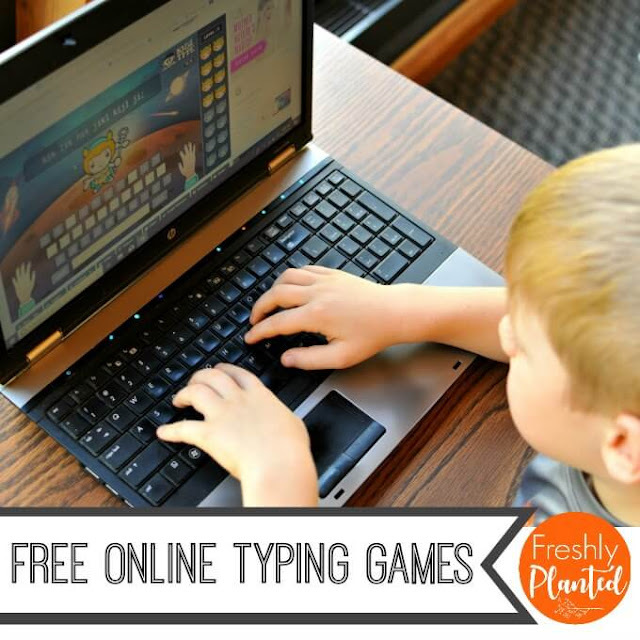 And more typing games! We have a daily tech time in our homeschool, and this is a great addition. The kids do timed times tables, chess, and now typing too. Skills they can master now and use the rest of their lives! KidzType is oldest daughter approved! Easy to include in your school day!